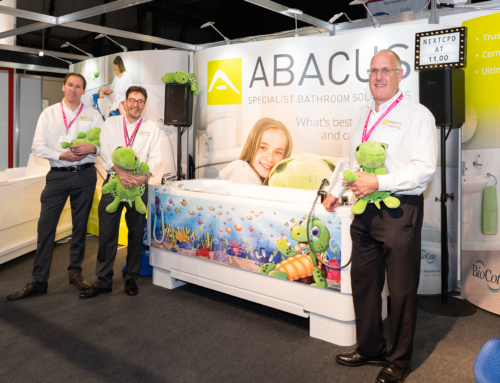 Abacus Healthcare will be demonstrating its popular hi-lo baths at the new Kidz-to-Adultz-Wales exhibition and offering the chance to win a large cuddly toy bear. Thursday 7th July 2016, House of Sport, Cardiff, CF11 8AZ. 9.30am – 4.30pm. Stand D4. 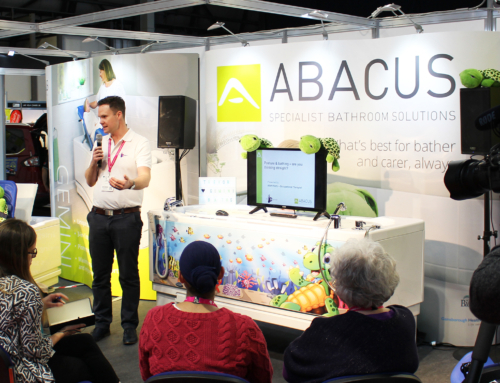 Abacus Healthcare provides power-assisted baths that include variable height, bather transfer seats and are compatible with a range of postural supports. These specialist hi-lo baths provide greater care and comfort for disabled children and young adults when bathing whilst eliminating manual lifting and lowering for carers and parents. Kidz-to-Adultz-Wales is a new event in the successful series of Kidz exhibitions organised by Disabled Living. These friendly and informative events provide a free opportunity for parents, families and carers to test and compare the latest products and services for disabled children. On stand D4, demonstrations of the Aquanova Gemini will be available so visitors can understand why this hi-lo bath is a leading choice for families. It includes power-assisted variable height and an integrated platform so changing, drying and bathing is easier for disabled children and young adults. Transfer times are reduced so bathers remain warmer and more comfortable throughout the whole bathing process. Manual moving and handling of bathers is reduced for carers so the risks of back or muscle injury are greatly minimized. The sides of the Gemini rise around the integrated platform so the bather is not lowered into the water, the water rises around them in a controlled and gentle manner. This provides a far more pleasant bathing experience and allows parents to engage face to face with their children without the need to bed or stoop. During Kidz-to-Adultz-Wales the Abacus Product specialists will be inviting all young visitors to enter its ‘Guess the bear’s name’ competition. If correctly guessed, the winner will be the proud owner of a large bear soft toy – perfect for a cuddle after bath time.